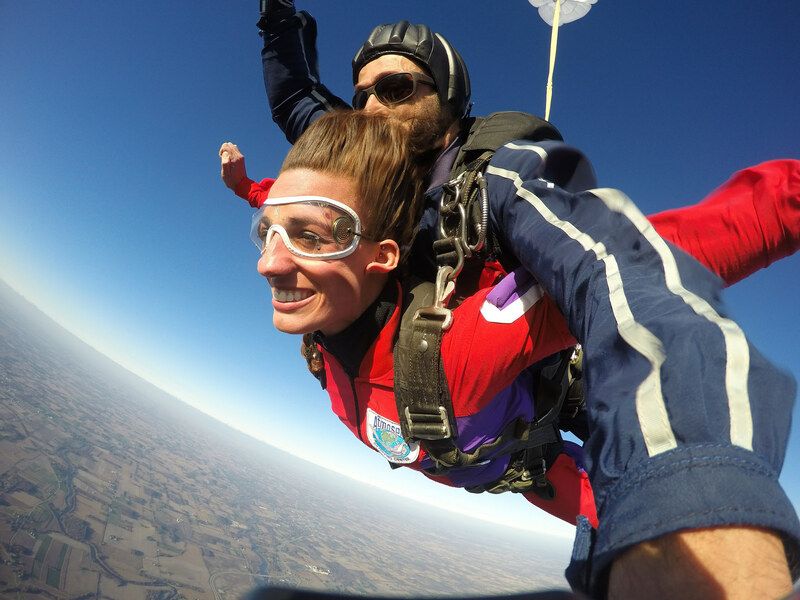 At the Wisconsin Skydiving Center, we love to build teams. People are as much our bailiwick as freefall, in all honesty. 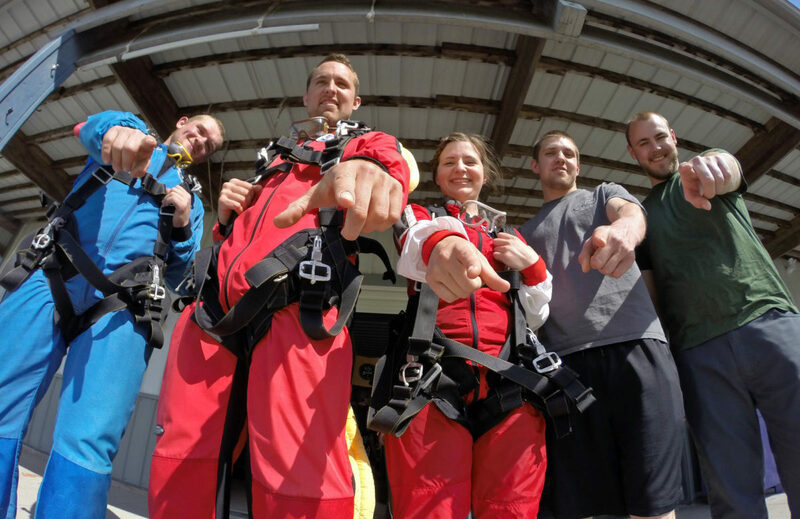 Plus, the incredible results we see from all that outdoor team building activity that takes place on our skydiving dropzone… well, if you’re calculating the ROI based on smiles, high-fives, and firmly-cemented interpersonal connections, there’s simply no better business decision you could make. But what if you could bring together the best parts of team bonding activities without the cringe-humor bad parts? Just imagine that your chosen outdoor team building activity could unite both the participants and the conscientious objectors. And what if it could be simple for the organizer, too? That’s what we do at the Wisconsin Skydiving Center. Seriously, we do. Take it from us: this ain’t no silly trust fall exercise. It’s a true trust fall — but your team will learn to trust each other in a wholly different way. (One that doesn’t involve trying not to drop Herbert from Marketing, who has been hitting the cheese curds way too hard lately.) This kind of trust involves vulnerability of a much more profound kind, and the happy ending of a beautiful landing sets it in cement. A skydiving corporate team building adventure is gonna boost morale like you’re not going to believe. It’ll foster a spirit of cooperation and community, ‘cause jumping out of a plane in short succession makes you realize, in full living color, that you’re all in this together. In order to shift one’s perspective in a general sense, it’s often helpful to shift one’s perspective on oneself, right? In all the world, there’s nothing like a skydive to take you out of yourself and demonstrate in no uncertain terms how capable you are of miracles. And when you see the familiar faces around you doing the same — the effect is nothing less than transformational. Another fresh perspective for you: the magical unifying power of being in the same jumpsuit, goggles, helmet and tandem harness as the CEO. 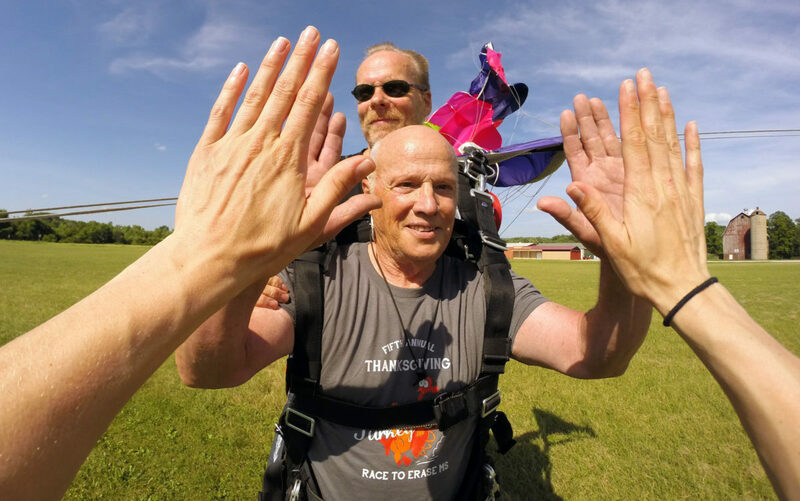 High-fiving your CEO after he’s jumped out of a plane can be an amazing corporate team building activity. There’s no escaping it: Skydiving is scary. And that’s great — ‘cause that’s where it gets its team building superpower. It’s perfectly natural to feel fear about jumping out of a plane. 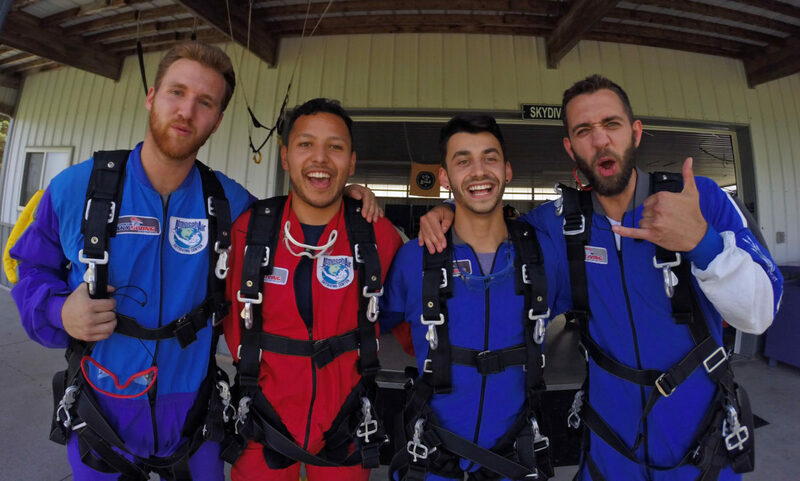 But it’s pushing past all that which delivers skydiving’s rocket-fueled emotional boost — and subsequent feeling of togetherness with other participants. Are you bringing along teammates who don’t think they’re quite ready to make a jump? No worries! We’re happy to pull ‘em up a first-row seat to enjoy the action — and, when they get just a little bit more into it, they’re welcome to come along on an observer flight. Even if one of your honored guests is simply not in the mood to hop into a plane, our friendly, beautiful dropzone is a delightful place to spend the day. Non-jumpers are welcome to hang out and cheer on the skydivers from our spectator-friendly grounds. There’s free, fast wi-fi throughout the campus, lots of shade, and a busy little grill on the porch. At WSC, we pride ourselves on our cheerful, welcoming atmosphere. No “extreme” vibes here — just sharing the sky, family-style. To help you fast-forward to the fun part, we’ll be more than happy to help you plan the optimal day to celebrate your team’s many achievements — both in the sky and in the office — and build a team for the record books. Reach out to us! Let’s make your corporate team building activity one to remember. What are you waiting for? 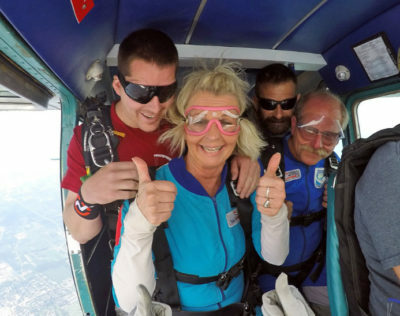 Make skydiving your perfect outdoor team building activity!